[by Earl Blacklock ] As a young man, Walter Judd attended a youth conference in Lincoln, Nebraska. He remembered little about the conference except the story of the rich young ruler. He saw in the story a choice – to put a Cause before himself, or to be a quitter. He went home and announced to his parents that he had chosen to be a medical missionary. In 1925, after graduating from medical school, Judd went to a mission hospital in China, 12 days inland. After a succession of 46 malarial attacks, he was forced to return to the United States in 1931. What he had seen in China convinced Judd that Japan was preparing for war, and that the U.S. would inevitably be embroiled in it. He tried to convince anyone who would listen that American trade was helping Japan arm. No one took his warnings seriously. In 1934, his health recovered, Judd returned to China in charge of a hospital in Fenchow. The Japanese had invaded Manchuria and occupied Beijing. Although Fenchow was 400 miles away from Beijing, refugees from the fighting, sometimes thousands at a time and often wounded, started filling the mission compound and hospital. With the battle nearing Fenchow, Judd started preparing for his departure. When a young Chinese soldier, wounded by shrapnel near Beijing and carried for 60 days to the Fenchow hospital, died in his care, Judd knew he had to bear witness to the suffering he had seen, and he returned home. Speaking in churches and luncheons around the U.S., financed by his family’s savings and the small honoraria he received, Judd called on Americans to boycott Japan or give up their sons when war came. He gave 1400 talks, in 46 states, with his warning message. Judd was giving the same message one Sunday morning in a Minneapolis pulpit when word came from Pearl Harbor. He didn’t need to give his warnings anymore. The Japanese, using arms made from American scrap metal, had attacked. Months later, Judd was approached by a friend who told him the best place for him to help win the war was in Congress. Judd laughed the suggestion off. He pointed out that, while he could be a candidate, he hadn’t lived in the district long enough to even cast a vote for himself. And he believed a member of Congress should be guided by his own convictions, not the wishes of the machine politicians or the fickle public. It wouldn’t work, he said. But Judd was eventually persuaded to run for Congress, where he served with distinction from 1943 to 1963. 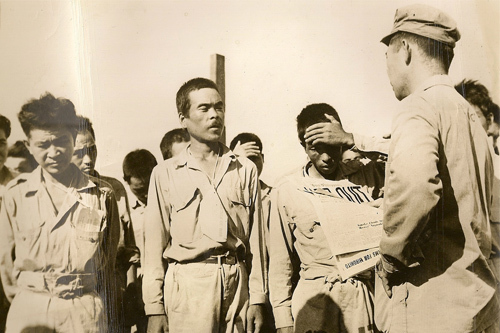 His proposals for the humane treatment of a defeated Japan became U.S. policy. From missionary to prophet to lawmaker, Judd’s Cause was to serve, and as part of that service, to warn. He was a modern-day Balaam who knew “I could not do anything of my own accord, good or bad, to go beyond the command of the Lord, and I must say only what the Lord says’ (Numbers 24:13).